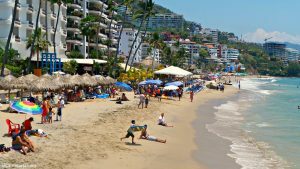 There are really beautiful beaches in downtown Puerto Vallarta. We live downtown in Puerto Vallarta so the beaches we go to first are located there. These are the top picks in the area. 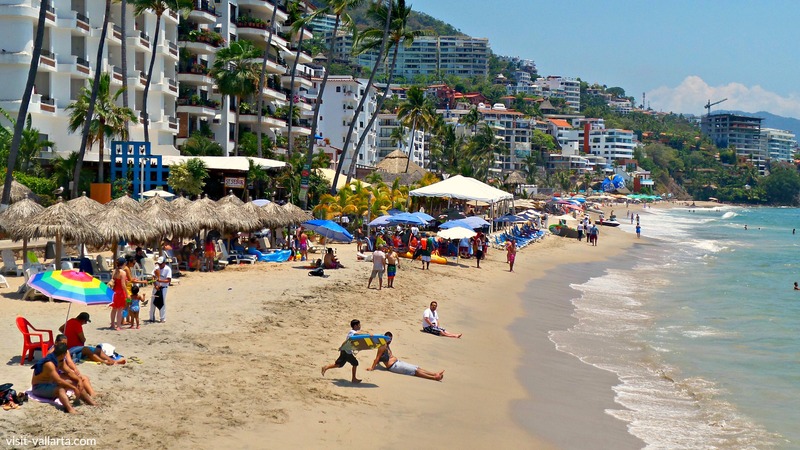 Los Muertos Beach is probably the best known and busiest beach in Puerto Vallarta. 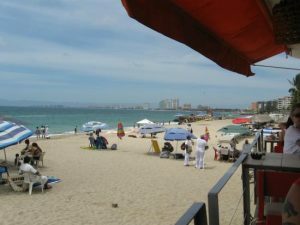 It is located just south of the Malecon (boardwalk) in the Romantic Zone. The beach is a great place to get a drink or a meal from the many beach vendors and restaurants. Recently several upscale beach clubs have opened up on the south end of the beach, Mantamar and Sapphire. You will also find some of the local favourite restaurants there, La Palapa and El Dorado to name a few. On the north side of downtown in the colonia 5 de Deciembre, you will find one of the local’s favourite beaches, Playa Camarones. Here you will encounter a less busy beach with great beach clubs and restaurants such as El Barracuda and Mangos. Definitely one of my family’s favourite beaches. Oh and did I mention the sunsets are amazing!